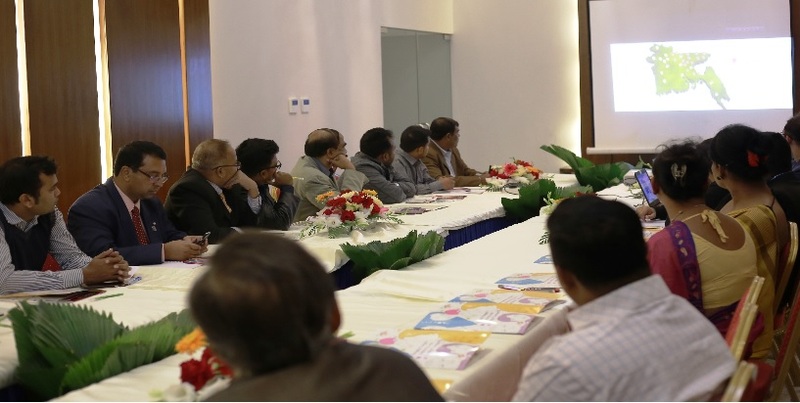 This is the first time ever Bandhu has arranged a consultation meeting with the corporate and media houses on 19th December 2017 at Sky City Hotel in Dhaka under the USAID supported Human Rights in Development project. It was anticipated that the consultation meeting would sensitize the corporate and media people regarding the gender diverse population and as well as might open up some employment opportunities for them. Thus their life and livelihood trend will be developed. 16 organizations from different areas participated in this meeting where Special guest of the event was Thomas Pope, Director, Office of Democracy and Governance, USAID/Bangladesh. In the meeting representation from furniture sector, ceramic sector, leather and footwear sector, agro-food procession sector, SME foundation and media was prominent. They were found very keen to work for the gender diverse population from their CSR (Corporate Social Responsibility) department. By this event Commitment and support of the corporate and media houses may open some potential doors of opportunities for the gender diverse population. The meeting was fruitful and effective as some important recommendations came out of the discussions.